What can be said about Playa de Manzanares in Los Alcázares, except absolutely stunning. 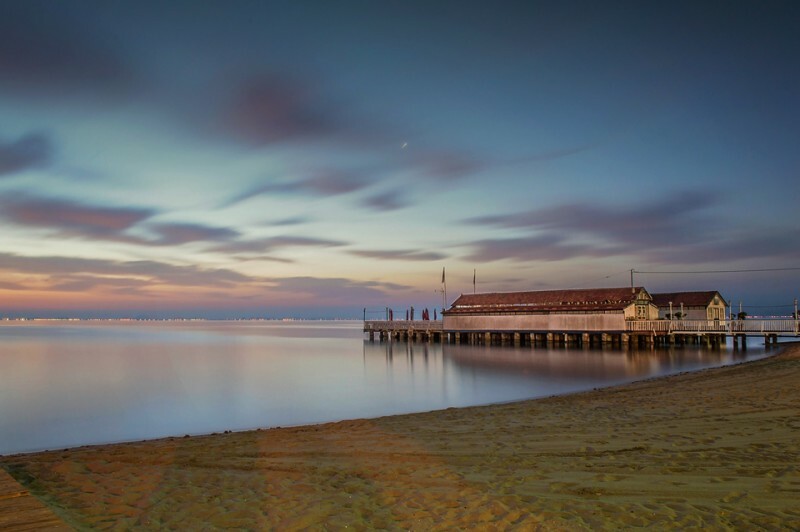 This coastal spa town and former fishing village on the western side of the Mar Menor in Murcia is only 30 minutes from Torrevieja. Having photographed many sunrises on the Costa Blanca, we decided to drive a little further south down the coast to Los Alcázares. We were also able to take advantage of the clocks going forward and having an extra hour of darkness. To save time and fuel, we headed down the AP-7, fortunately at this time of the year (April) the toll charges were very reasonable (2.05 Euros). After taking the Los Alcázares exit, the drive down to the beach only took 5 minutes. We arrived at the beach at 6.30am and were able to park one street away from Playa de Manzanares. Despite being dark, as we approached Playa de Manzanares we could not help but be amazed by the beauty, we were smitten from the start. 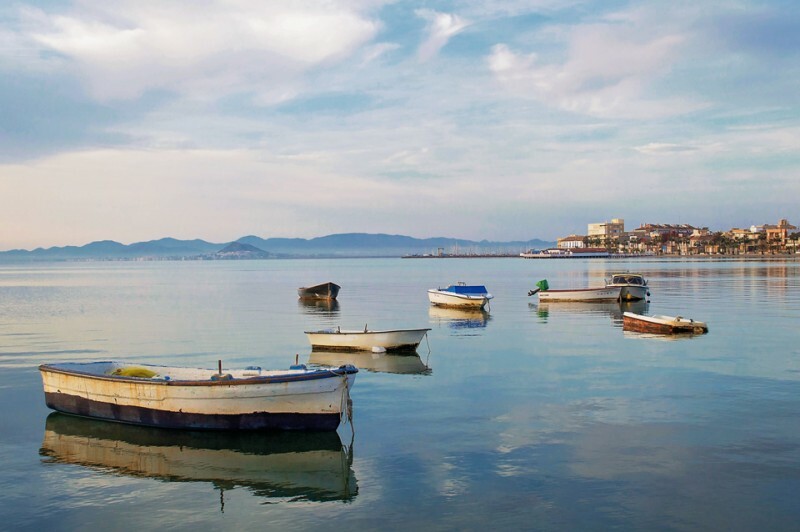 As the Mar Menor is cut off from the Mediterranean, it is not tidal and has very small waves with no real currents. 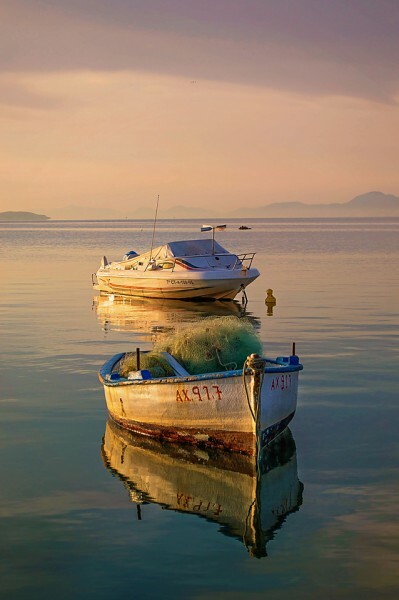 It was so calm that the rowing boats moored a little way out looked like they were resting on a sheet of clear glass. The promenade and urban beach were unlike anything we had ever seen before. Former fisherman’s houses and apartments lined the promenade, along with the beautiful palm trees. 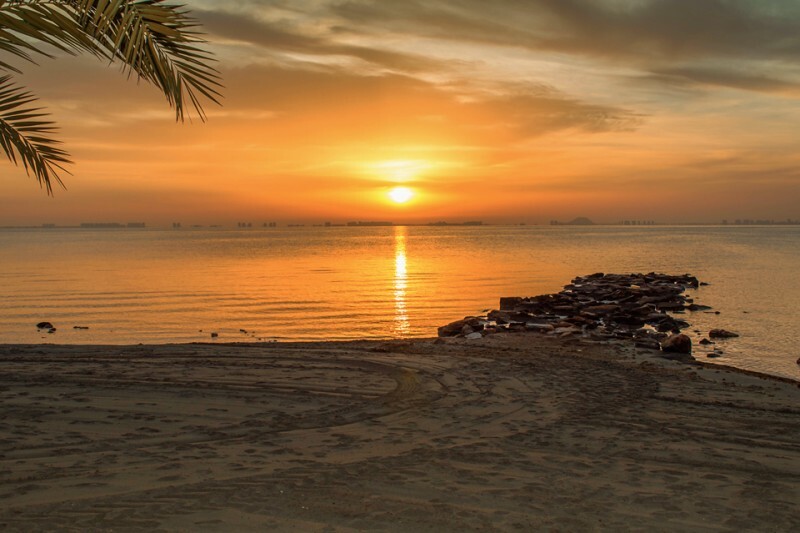 Even at 6.45am there were people jogging or cyclng along the promenade. As we started our walk (in the direction of the marina) just off the promenade was the Parroquia Nuestra Señora de la Asunción (Parish of the Assumption of Our Lady). 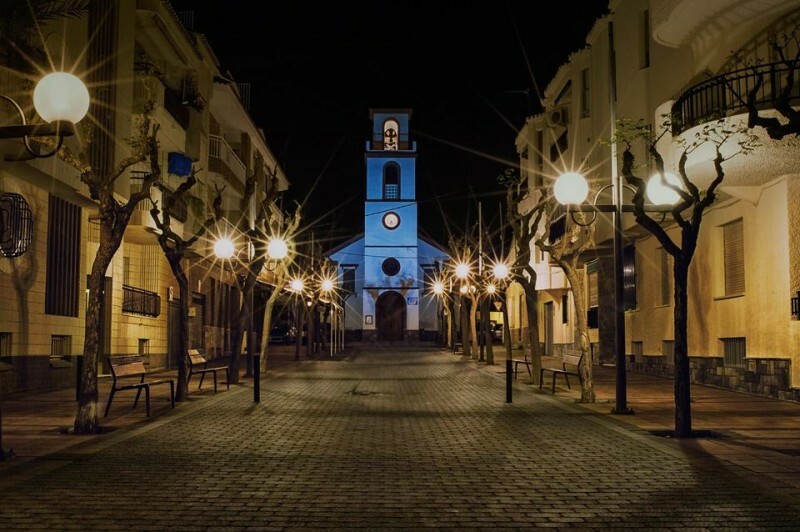 This is a beautiful parish and with the bell tower lit up and the illumination of the street lights, it gave the parish a magical feel. Also along the promenade on the beach was the Monument to fisherman. 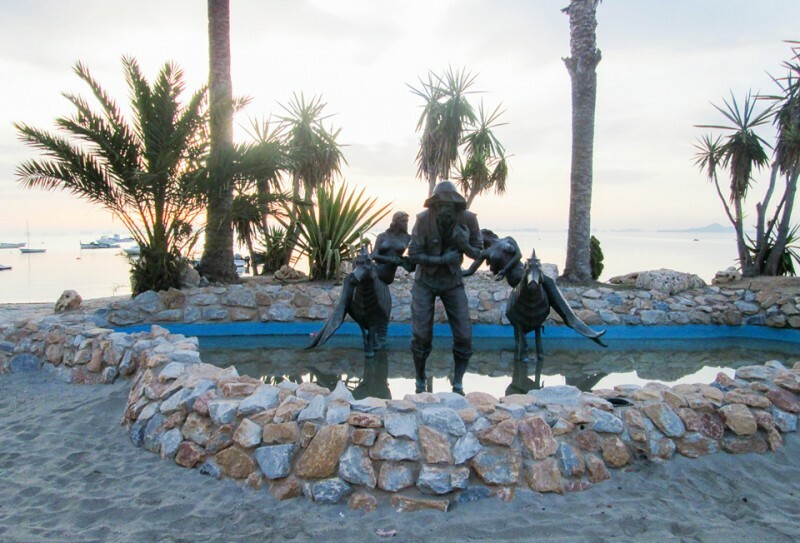 This bronze monument was created by Manuel Nicolás Almansa to pay homage to the fisherman of the town of Los Alcázares. The monument depicts an old fisherman dragging a net, while two mermaids riding seahorses, representing the two seas of the Mediterranean and the Mar Menor, pitied the plight of the low load, trying to put fish into his net. Next we came across the Balneario de San Antonio, the only surviving balneario of its kind. 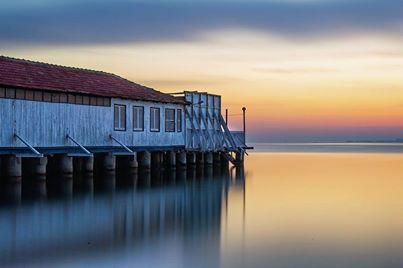 A Balneario is a bathing hut, built out on stilts over the waters at Los Alcázares. This is now a restaurant called the San Antonio Balneario La Encarnación Snack bar, it was not open, so we were unable to have an explore inside. 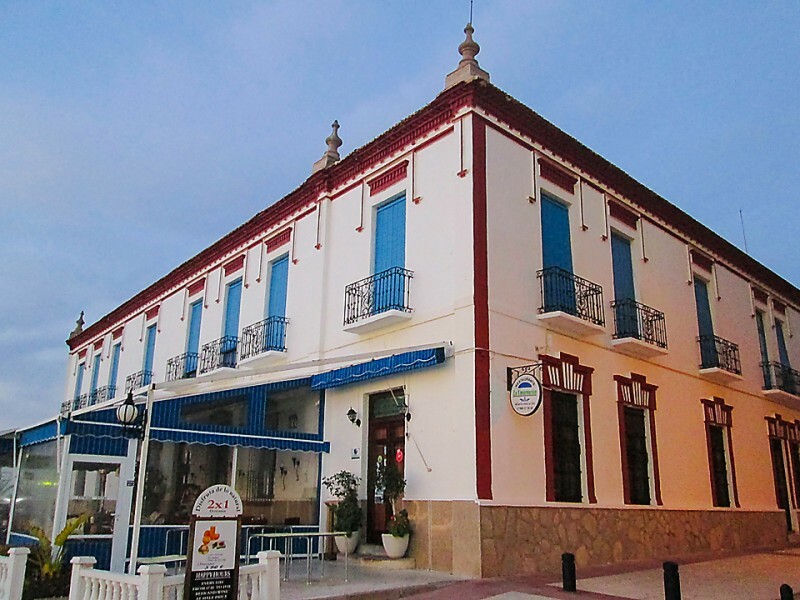 As we continued our stroll we came to the Hotel La Encarnación, the most historic hotel in Los Alcázares, built right down on the beach front in a privileged position. It was here we watched the sun rise. 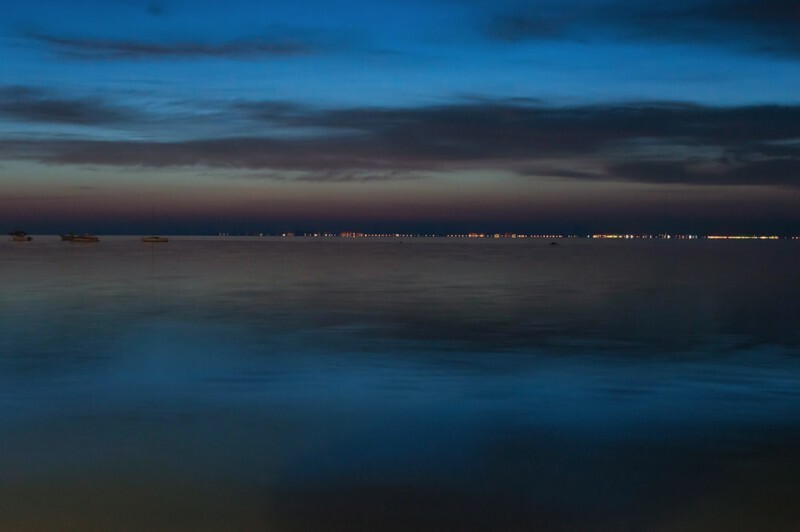 As the sky brightened up, we were able to see more and more, especially across the lagoon to the La Manga. Make sure to charge your cameras! 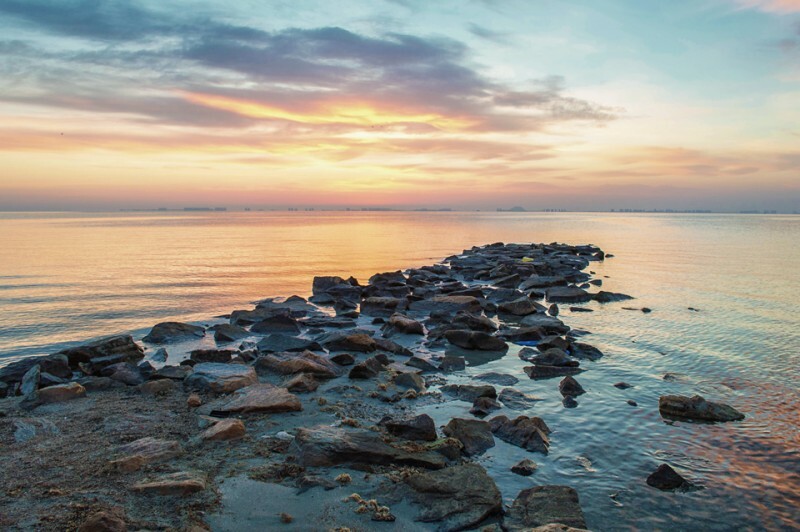 The sunrise at Los Alcázares was truly amazing and is well worth seeing for yourself. 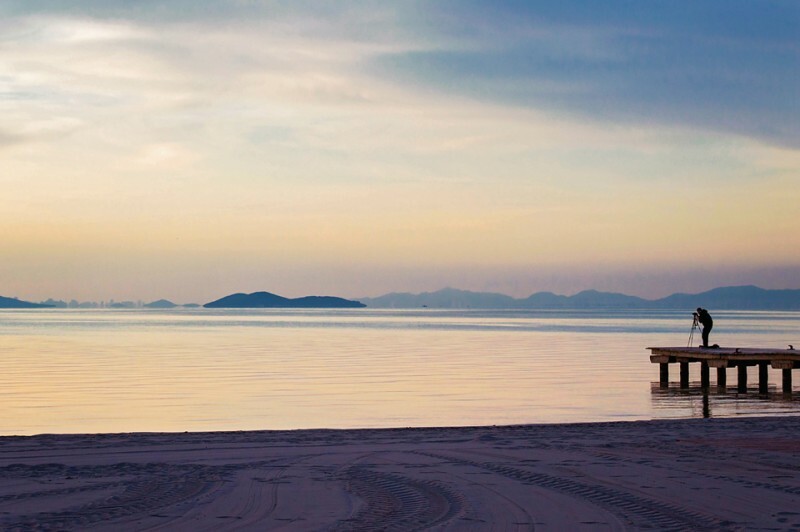 The sense of relaxation and ease is not lost here, you could easily sit on the beach and chill, without realizing that hours had passed. Los Alcázares is definitely a place we will return to in the Summer.